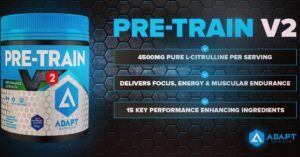 PreTRAIN V2 – So what’s new? PreTRAIN V2 is the latest evolution of our PreTRAIN, PreWorkout supplement. As with all of our products, they’re tried and tested in-house before anything goes out to you guys. We’re fitness enthusiasts so we want to use products that improve our training and recovery! So what have we done to improve the much loved PreTRAIN to warrant the new PreTRAIN V2? Well, quite a lot! As time goes on technology improves within the manufacturing process. For those reasons we have been further able to boost the already high quality ingredients found in the original. New research also come to light which means we can change a formula and achieve much better results in terms of effectiveness, taste and mix-ability. In PreTRAIN V2 we have decided to go with 4500mg of Pure, Fermented L-Citrulline. That is the equivalent of 9000mg of a 1-1 Citrulline Malate. 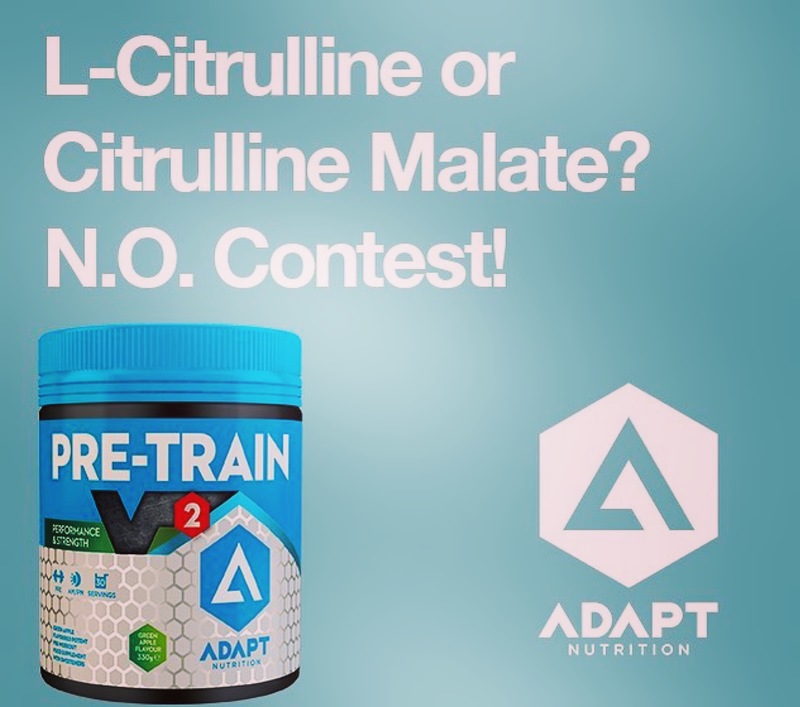 L-Citrulline is the king of Nitric Oxide boosters. This improves blood flow, forcing blood in to the working muscle tissue. 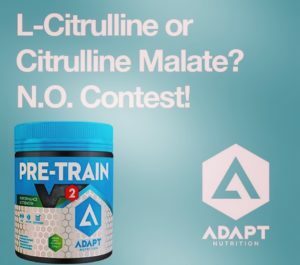 We further enhance the absorption of Citrulline by 40% with the inclusion of the patented ingredient, Astragin. In fact all of the amino acids in PreTRAIN V2 are produced via fermentation. This ensures the highest quality, maximum absorption and bioavailability. We do not use cheap amino acids that are extracted from corn or other animal products. They’re poorly absorbed and can have an allergenic effect (from corn glutens, etc). 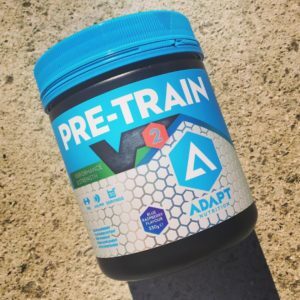 It also means PreTRAIN V2 is suitable for vegetarians and vegans. In PreTRAIN V2 we have also increased the BetaAlanine, Betaine (trimethylglycine), Taurine, Caffiene and added in L-Theanine. The result is a higher quality, more potent and more effective preworkout that increases your training intensity and primes you body for exercise. PreTRAIN V2 is packed with 15 performance enhancing ingredients and will always be free from added carbohydrates and cheap fillers to boost the size of the tub and serving!